The 'Line Theory' is an essential part of appearing natural as a magician of any kind, put together and taught exclusively by Mystery Mark. If you care about making your magic look and feel as impossible as possible, be sure to not miss out on this exclusive lesson which could help you improve your magic dramatically. 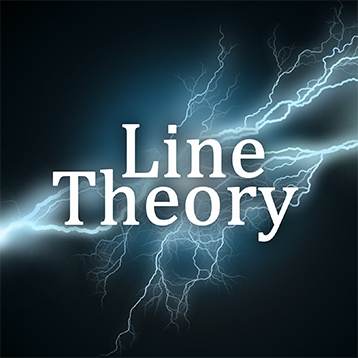 The 'Line Theory' may seem a bit deep and cryptic at first, but in the end you will be a big step closer to making your magic seem most magical. The 'Line Theory' could be found in Mystery Mark's 'Latest Revolution of Magic Art' book (sold out) as well. Essential viewing for the serious, thinking magician. Mark's Line Theory is incredible food for thought that has changed the way I think about my magic performances dramatically; the thinking here is a real eye opener! There are many routines I have worked on which seem to physically flow so much better than others. For example, Ambitious Card routines that I have experimented with over and over with different sleights being used at different points. Trying to pin down why one "feels" better than another has been something I've found quite tough as it involves several different factors, and with so much to think about it can also sometimes be tough just to sort through all the various "performance options" when one is planning a routine. Mark's theory has managed to put into words very concisely a very large part of this puzzle of why some magic performances look truly magical and "clean" in appearance, and why some just look dirty, misleading or confusing. Applying it to the way I think about my routines has made it so much easier to plan, visualize, and better understand the hows, the when's, and the why's of the all-important physical component of my performance of any given piece of magic. For anyone who really thinks about their magic in any real depth, and wants their act to look as meaningful, magical and as clean as possible, this is an invaluable and vital tool. Thanks Mark. This is a really important piece of magic. Now I start to recreate all my tricks using this theory. The Line Theory is, in my opinion, a work of art. To those who are new to magic, this theory may not seem at first to be as clear and important as it is. However, the significance of it increases dramatically for those who are aiming to achieve 'magic' in their art and not simply a display or performance of 'tricks'. I believe this is an all essential video for those who ever felt that their performance was lacking, even after weeks of practicing the moves and the patter just for that one moment. This is all because performing a move for real audiences is completely different compared to in front of a mirror or a video. Then, feelings of doubt and self-consciousness comes in to ruin our confidence and trick. Now, the Line Theory is where I believe steps into this 'realm' of, how you could say, our lack of confidence, to help fine tune and tame our tricks into something completely magical. Once you apply this theory to your tricks, I highly believe and feel that not only will your spectators have nothing to doubt or to try and look for, but you will also feel a lot more natural and comfortable doing your tricks. The flow that the Line Theory will enhance in your movements will definitely make you feel and think, "Ah! This is it! This is what I felt I have been missing all along in my tricks and what made them lacking." I highly recommend this to all those who come across it. It's an invaluable lesson that you will not be able to find anywhere else and something even professional and competent magicians overlook because they just didn't know what was wrong. If you can't put your finger on the feeling of doubt you have in performing tricks, try this. It may just be your elixir that you were searching for all along. It sure was mine!